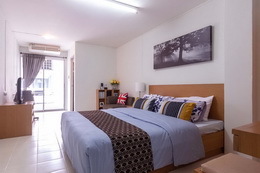 Krongthong Mansion Ladprao 81 is located in a heart of the city with peaceful atmosphere and vast-space building as well as various types of public facilities. Its location near main streets will allow for convenient traveling means. Krongthong is run by high-profile professionals that will offer you with hospitable services.Krongthong Mansion Ladprao 81 is located in a heart of the city with peaceful atmosphere and vast-space building as well as various types of public facilities. Its location near main streets will allow for convenient traveling means. Krongthong is run by high-profile professionals that will offer you with hospitable services. 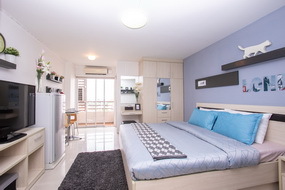 Room Type Size (Sqm.) Rental periods from 1 month or more.